Hooray! Summer’s here! 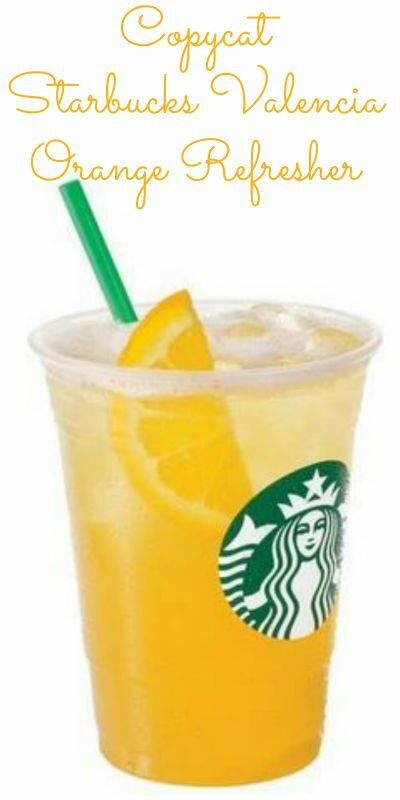 And nothing says summer more than a refreshing Iced Valencia Orange Refresher Recipe! Lemon Iced Tea (affiliate) I personally like Crystal Light — no calories! Pour in one (1) cup of ice into your favorite cup and then fill ¾ of your cup with orange juice. Fill the remaining ¼ of the cup with the lemon iced tea. Add ONE teaspoon of sugar (or 1 packet of Splenda) into the drink and mix it up well with your spoon. Easy peasy and summer breezy! Enjoy! Lemon Iced Tea (affiliate) I personally like Crystal Light -- no calories! Thanks to Tiffany of Sunglasses and Starbucks for being our guest blogger. You can read more on Sunglasses and Starbucks. Ooh, this sounds so refreshing, especially for summer. Love recreating recipes at home. Thanks for sharing! This tells you how often I go to Starbucks, if you hadn’t told me this was one of their drinks I wouldn’t know. But it sounds delightful for summer. Thanks for partying with us on Creative K Kids Tasty Tuesdays. I always love to see what you share with us. Super easy recipe! Sounds light and refreshing! Thanks for sharing at the Family Joy Linkup! Going to have to try this. this sounds delicious! thanks for the recipe! My hubby brings these home all the time and they’re so good!!! I’m so excited that I can finally make my own! Thanks so much for sharing your recipe with us at Share The Wealth Sunday. Pinning! Sounds so yummy and refreshing! Pinning for the summer. Oh my heck! This sounds delicious! I can’t wait to try it. I just pinned your Copycat from Starbucks, it looks sooo good! I really appreciate you sharing with us at Full Plate Thursday and hope you are having a safe and enjoyable weekend.